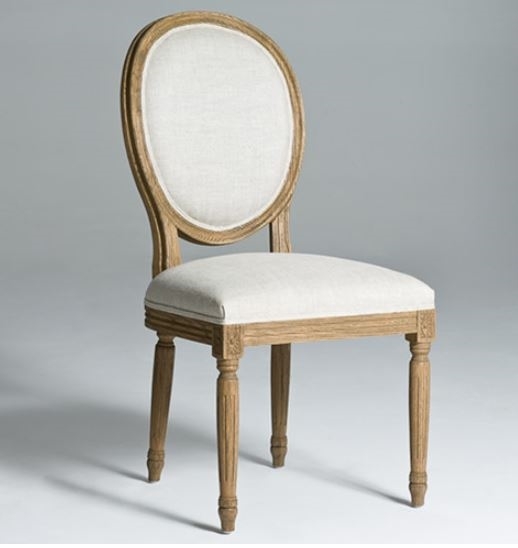 With round back and arched wood legs, Louis Dining Chair is classic with modern touch. Legs are finished with natural wood color. This model will certainly add class to your dining room. Has matching arm chair available. Constructed with Solid Birch wood. Suitable for home, bars, restaurant, hotel. Fully assembled. Dimension: Width 20" x Depth 19" x Height 40" x Seat Height 20.5"